This very large old tree is the last remaining pre-European pöhutukawa on the Mt Maunganui ‘sand bar’ and has local Ngäi Te Rangi iwi significance. It has been reported that in the early days of settlement, several skeletons of pre-European origin were located at the tree's base in a kneeling ceremonial position. Maori leader Kihi Ngatai (Ngai Te Rangi) was quoted in the Bay of Plenty Times that during Cyclone Bola several of the branches broke off and that local Maori would not allow council to cut the tree, as the deceased were once hung from the branches until they decomposed. Their bones were then buried underneath it. 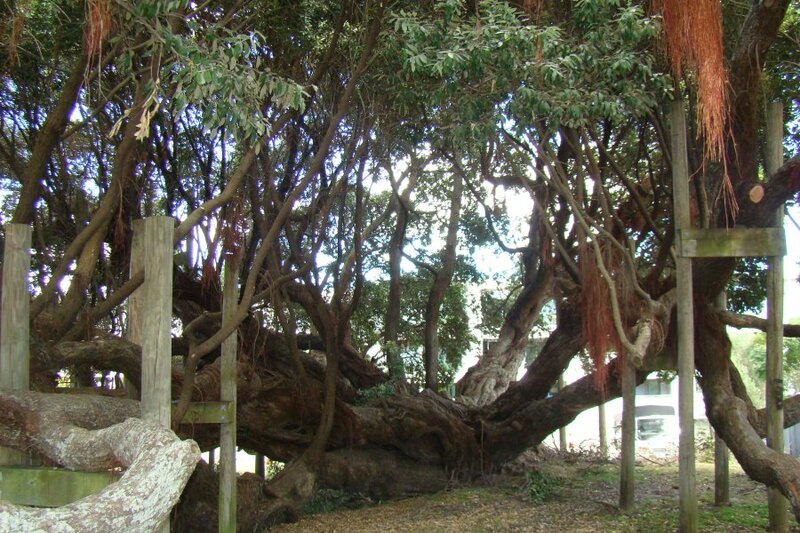 Tauranga District Council has gone to great lengths to manage and preserve the tree over the years. In about 1990, the tree had a major ‘split out’ failure which resulted in a propping system being installed to stabilise the remaining tree. 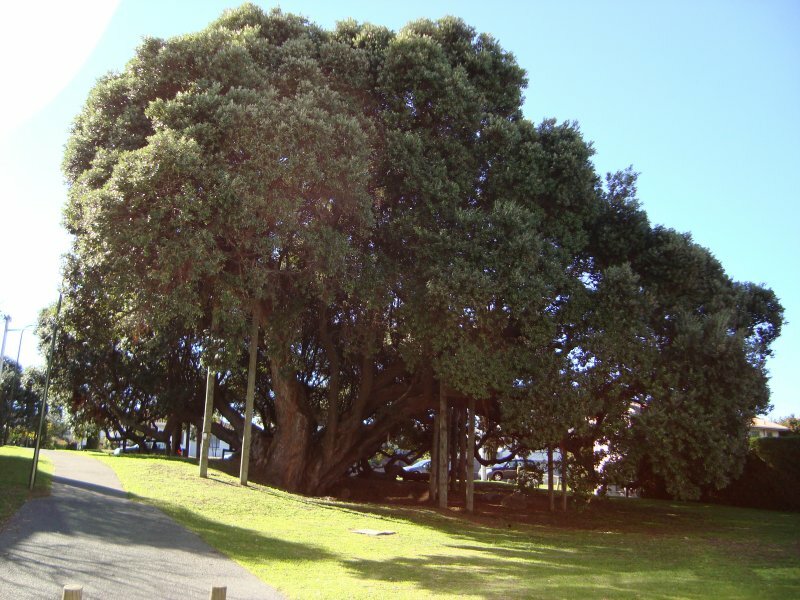 In about 1993, the Specimen Tree Company of Auckland obtained propagation material to maintain this historic tree (Gordon Ikin, pers. comm.). Cutting-raised material is still available at Lyndale Nurseries (online catalogue, 2010). See notes for Registration no.392. Reference. Burstall SW & Sale EV. 'Great Trees of New Zealand' 1984; p.98. The tree lays along the ground assisted by various props to stabilise the canopy. The tree dominates the reserve.